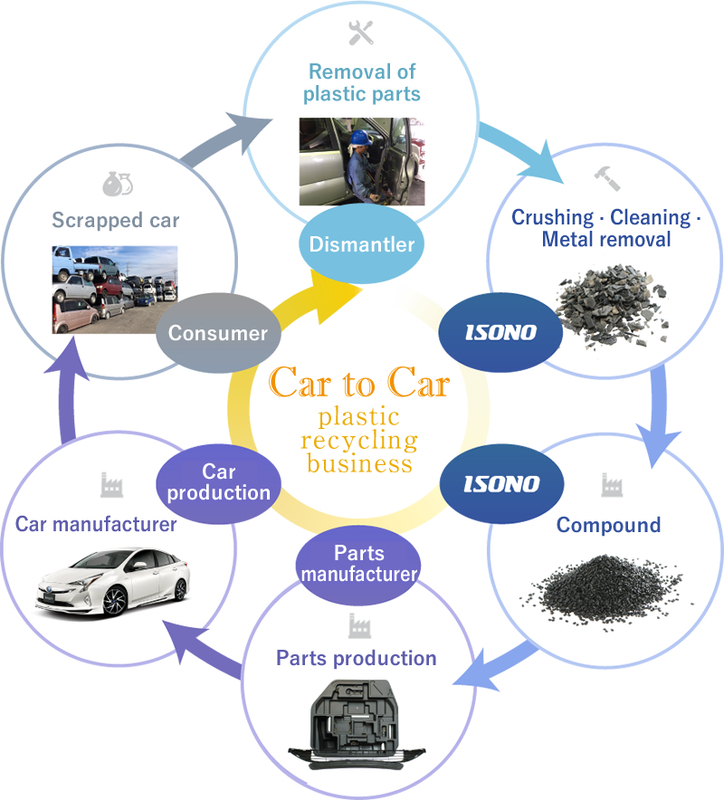 "Car to Car" plastic recycling business｜ISONO CO.,LTD. ISONO is challenging in cooperation with car manufacturers, dismantlers, grinding mills. We are constructing a mechanism to remove polypropylene (PP) parts and recycle pellets that can be used for car parts by cooperating with car manufacturers, dismantlers, grinding mills and others. By doing so, we contribute not only to reduction of CO2 but also to material recycling from ELV (End-of-Life Vehicle).